RainedOut: If you would like to sign up for alerts (in case of bad weather closing) follow this link! https://www.rainedout.net /team_page.php?a=0d5b6547f340d6af4fba Then go to the middle of the page and type in your phone number for text. Follow the instructions you will receive. 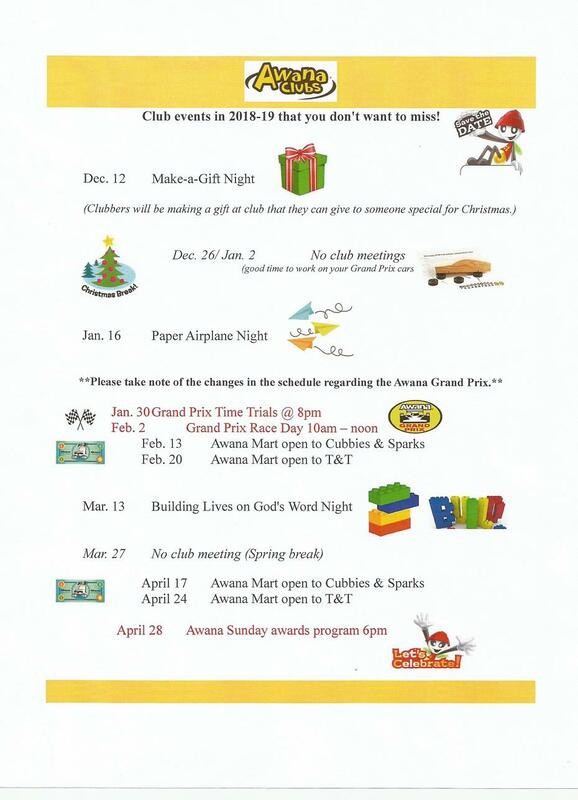 Awana is a vital part of our children's ministry here at SCBC. It is a program that helps churches and parents work together to develop spiritually strong children and youth who faithfully follow Jesus Christ. As a ministry leader for over 60 years, Awana is making an impact on countless numbers of young lives. A national survey found Awana to be as important to the alumni's spiritual foundation as all other church activities combined. Among alumni who participated in the programs for at least six years, 92.7 percent still attend church at least weekly as adults! Visit Awana.org for more information. Club meetings are on Wednesdays from 7:00 – 8:15 PM, September through April. 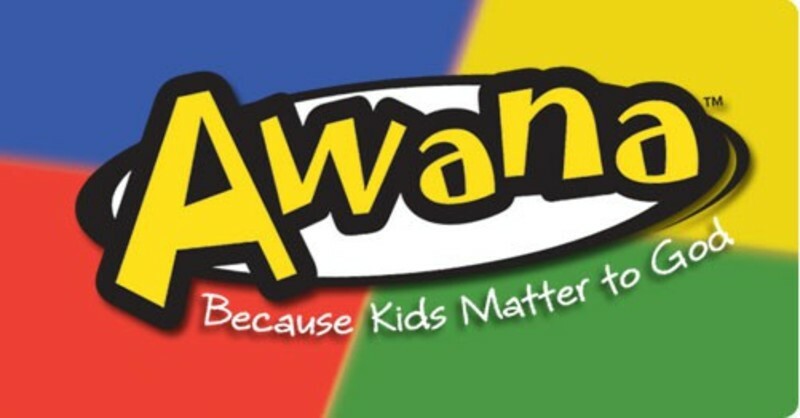 Awana is a fun, Bible-based club with focus on the Gospel and Scripture memorization. Children from preschool through 6th grade are encouraged to join the weekly meetings and participate in games, activities, music, Bible study and more. Clubbers earn awards through Scripture memorization and working through handbook sections. Preschoolers within two years of beginning Kindergarten are in Cubbies. 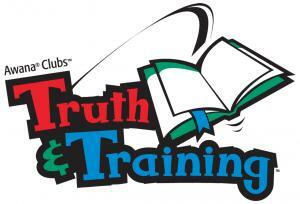 Cubbies lessons are focused on teaching children respect for the awesomeness and authority of God. We use the method of “Total Teaching Time” to reinforce our Bible lesson each week, which means that our puppet show, music, crafts, games, and snacks all relate to the Bible lesson and memory verse in some way. Kindergarten through 2nd Graders are in Sparks. You'll recognize Sparks club members by their red uniform vests. Sparks ignites the curiosity of early elementary-age kids to learn about the people and events of the Bible, building a foundation of wisdom for knowing Christ. 3rd through 6th Graders are in T&T. Truth & Training, better known as T&T, engages students by answering their questions about God and the Bible, guiding them through this pivotal life stage to grow in Christ's grace.